Composer Mark Carlson’s lyrical, emotionally powerful, and stylistically unique music has earned him the admiration of audiences and musicians throughout the United States, Canada, Mexico, and Europe. A versatile composer, his more than 100 works include art songs, chamber music, choral music, concertos and other large ensemble works, and songs for musical theater. The recipient of more than 50 commissions, he has been commissioned by the National Shrine in Washington, DC, and the New West Symphony, among other organizations, as well as by many individual musicians and private parties. Known especially for his chamber music and vocal music, he was the Featured Guest Composer at the Fifth Annual Fresno New Music Festival in 2010, and in 2007, the University of California at Irvine’s voice department presented a residency and recital, “California Singing: the Songs of Mark Carlson,” the first of a proposed annual event. Recent European performances have taken place in Wroclaw, Poland, Madrid, Spain, Saarbrücken, Germany, and Jastrebarsko, Croatia. One of his twelve CDs, The Hall of Mirrors, was a winner of the Chamber Music America/WQXR Record Awards for 2001. Recent CD releases include performances by LA Philharmonic pianist Joanne Pearce Martin, Pacific Serenades, saxophonists Douglas Masek and Alan Durst, and the horn quartet, Quadre. His music is published by Yelton Rhodes Music, Pacific Serenades Music, C Swigart Music, Black Squirrel Music, and Thorpe Music. Carlson is the Founder and Artistic Director of the Los Angeles chamber music ensemble Pacific Serenades, which as of the end of its 26th season has commissioned and premiered 106 works by composers living in or with strong ties to Southern California. He recently retired as a flutist after many years of performing primarily chamber music, much of which was written especially for him. 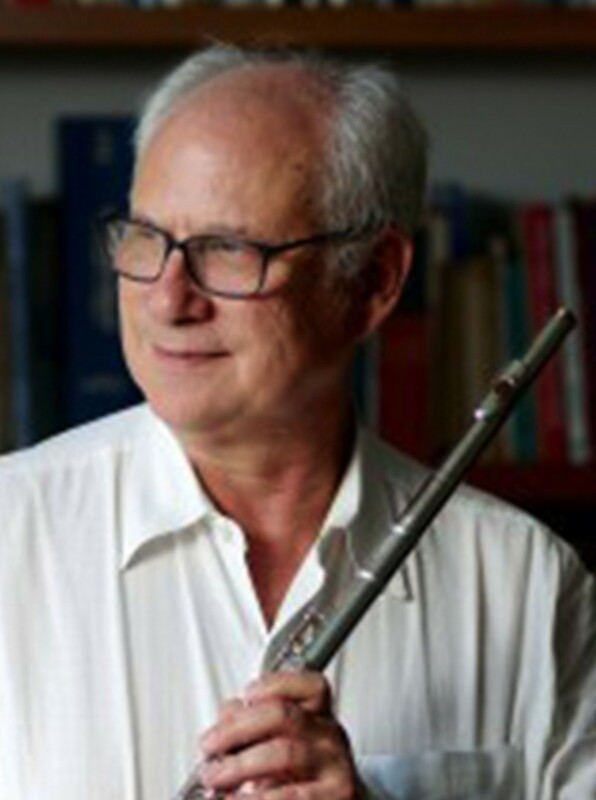 He has taught music theory and composition at UCLA for 22 years and also taught at Santa Monica College for 15 years.